And with Tanaka Rie’s performance, it just look so much better. In any event, the high ups in the military is hiding something about the neoroids, and at this point, it’s quite clear that these may be just alien creatures trying to reach out to people, or even have something to do with the existence of witches. What’s commendable is Tanaka Rie’s performance as Mina. She’s strong and together on the outside and vulnerable on the inside with a great range of emotions. She makes a silly moe show sounding like a serious drama. 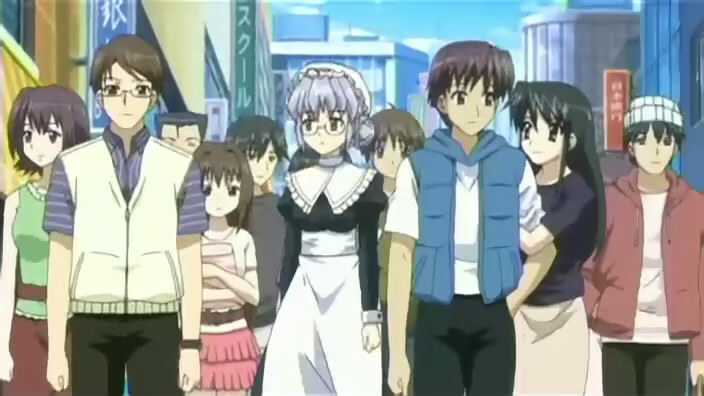 Miyafuji discovers that the “enemy” may not be so enemy like after all, but like any classic drama shows, her comrades clearly don’t think that way. However, it is obvious that the higher ups in the military knows something about these supposedly savages that these poor girls don’t. Perhaps the humans attacked them first? That’d be an old plot, but it’s probable. I obviously don’t recommend this show to sensitive people who hates moe with a passion, but for people who are open minded and love great seiyuu performance, I definitely recommend episodes 8 and 9. Strike Witches TV series 03 – this is why today’s anime has no soul! I want mellon pan and I want it now! Where is the running/training on the beach? Where is the oneesama running up the stairs wearing iron geta (sandals)? Where is the necessary dead first love to inspire our heroine? Where is the atmosphere? Where is the powerful drum music? Where are the stand out characters? Well: take that idea. Give them a high budget–a very high one. Give it a genuine classical music soundtrack (Rachmaninov’s 18th Variation on a Theme by Paganini in this case), a serious war story, and add WWII-style dogfight sequences. 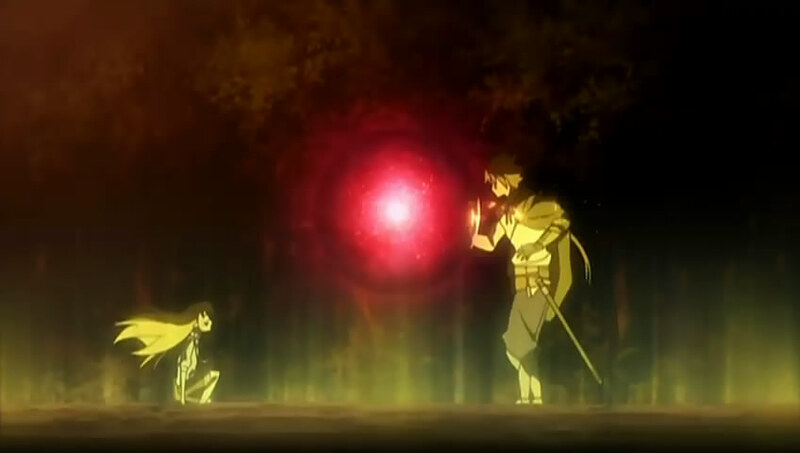 Add fan service. 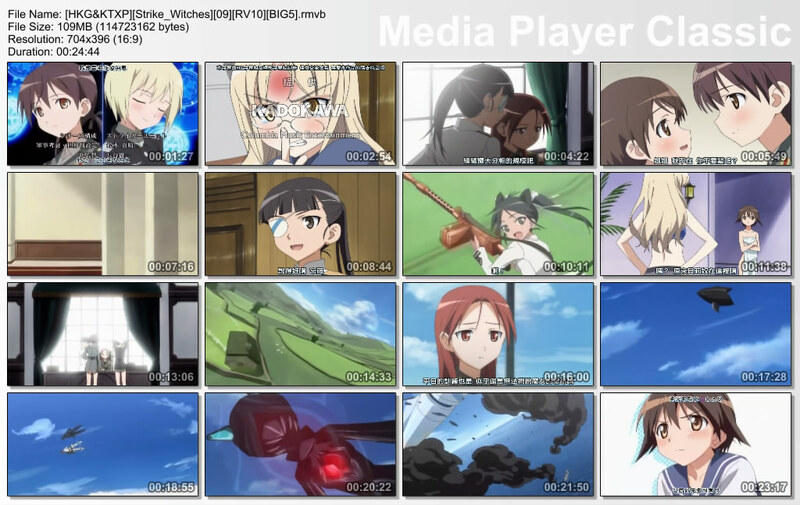 What you get is what you see above–Strike Witches, an upcoming OAV. Every single moe convention seems to be thrown into this one, as well as mecha drama, and even more–it works. It’s beautiful to look at and even, at the end, a little stirring, which is far beyond anything I expect from this genre. This is an 8.5 minute triumph. It shouldn’t work, but it dang it, it does. I watched slack-jawed at the sheer audacity, ridiculousness, and delight that went into this production. I must watch the full length episodes of this when it comes out. Now. HT to my friend moritheil for introducing this to me.